Time to start surf fishing? 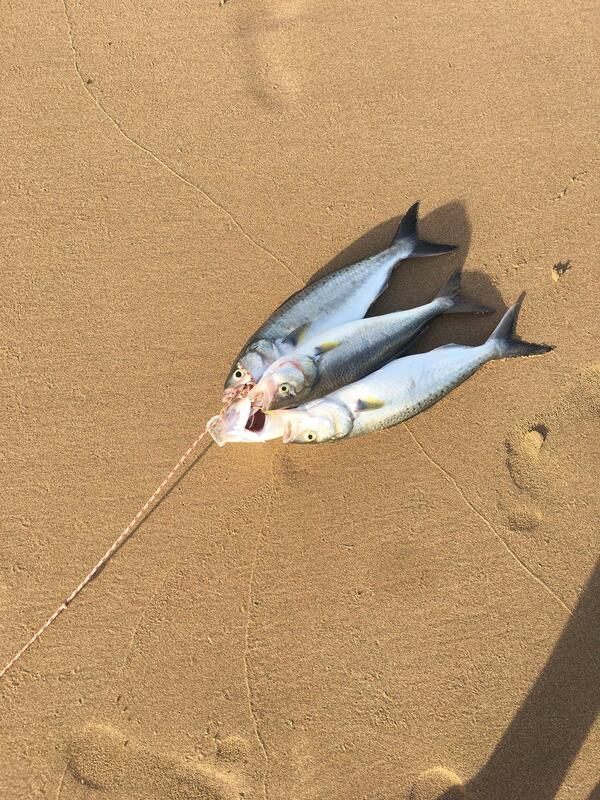 My ritual surf fishing has always been in deep winter like July or August for aussie salmons. The usual spots are Gunamatta beach, Ocean Grove and Venus Bay. I've got both medium heavy and medium light rods for any conditions. With usual paternoster rig and one surf popper on top, bluebait on the bottom. Is it too early to chase for aussie salmons off the surf now (April)? Or I can still go surf fishing but target different fish instead? Any recommended beaches for this time of year? Re: Time to start surf fishing? If your keen try the beaches around corinella and surrounds for elephant fish and gummies. The elephants are good fun. Good idea, thanks. I've never caught an elephant fish before, never actually tried to target them. The north beaches left and right of the pier or the southern beach? Looks pretty rocky and muddy in low tide. Sweet, thanks. That's only an hour away from my home. I'll pick a sunrise/sunset high tide and try it in the next few weeks. How big were they? 20g metal slugs? Most beaches along the area is good. Make sure you do your research before you go. It's a high tide only option as it's all mudflats at other times. The search option is your friend. This has been covered a fair few times here.